For the second time, UCLA Herb Alpert School of Music plans to offer Dae Bogan’s Music Industry Entrepreneurship class this summer. The non-theory workshop-style class will be offered under the college’s Special Courses in Music Industry designation MUS IND 188 and will be open to UCLA students as well as the general public. Learn and apply real-world business strategies and entrepreneurship principles to the music industry from a serial entrepreneur who has founded six and successfully sold three music industry companies. Meet and network with music industry entrepreneurs and professionals during an in-class speaker series. Whether you’re interested in founding a music industry company or working your way up to management of an existing company, learn skills from professionals who’ve taken music industry companies to the next level in recorded music, music publishing, live/touring, artist management, marketing/branding, and tech. Open to UCLA students and the general public. Hope your week has been going well! I just wanted to thank you for an amazing quarter. I really learned a lot from you and would love to keep in touch in the future. The information I gained from your class will help me in developing my professional career in the music industry and I just wanted to let you know how much of an impact you’ve had on me. Thank you! Thank you so much for all the knowledge you have provided this year, I have profoundly enjoyed your class. Thank you for everything this quarter. Not only have I learned so much about the music industry and entrepreneurship skills from your class, but you also taught me how to value my time and sense of self highly. With these valuable tools and mindsets, I have started to believe in myself so much more and I have also set higher standards for my life with purpose, thanks to you. I appreciate the active investment you put in our actual learning through outside resources and guests. This class was a special experience, which has honestly been very hard to find in many of my professors these four years. I was truly inspired by your entrepreneurship and knowledge. It is great to see someone that looks like me be passionate, knowledgeable, and successful in the music industry. I also am grateful for all of the tools you gave us to create our own businesses. The things we learned are truly priceless and will help us structure our ideas and concepts for a lifetime. Moreover, thank you for the diverse array of music industry professionals you brought into the class, because of the depth of your network, you connected us with someone from just about every aspect of the industry, which gave me personal accounts of what is needed to get into this industry. I can tell that you carefully craft every aspect of your class, and I truly appreciate the effort and dedication to student learning. Not a goodbye, but definitely see you later! Thanks for a great quarter! Just wanted to thank you for an awesome class. This was one of the few classes at UCLA where I felt I was taught skills, not just about the subject matter but in how to go about achieving my career goals, that were applicable to my endeavors and will be used for the rest of my life. I got more out of it than I had with any other course here and I would highly recommend your class to to anyone interested in a music industry career. 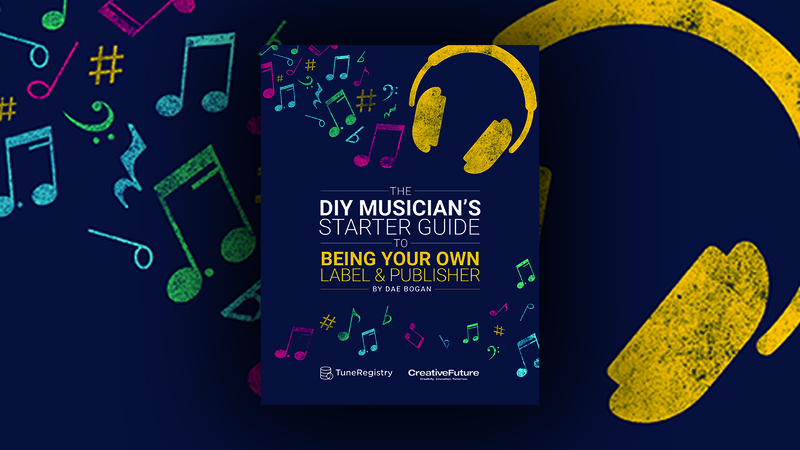 From recorded music and music publishing to live music and merchandise, entrepreneurs have been disrupting and innovating across the music industry for decades. In this course, students will learn and apply fundamental principles of entrepreneurship to the music industry. Students will analyze case studies and current events and participate in critical discussions around alternative business strategies in music industry entrepreneurship. Course work will consist of group assignments, workgroup labs, and strategic planning; all culminating in the presentation of a fictitious music industry company at the end of the session. The nature and function of strategic business planning. Business tools and concepts around market research and ideation. Forces affecting the music industry that shape how businesses operate. How to develop and execute a lean go-to-market strategy. By the end of the term, students will have gained a basic understanding of developing and launching a business in the music industry. Nice seeing you at the mixer last week. I’m potentially interested in taking your course. Did you mention that they were offering some type of financial aid?